You are here: Home » News » A rather hot round of golf! On Wednesday 25th July 2018, Tanya and Sam attended a golf day at Faversham Golf Club with some of our customers and suppliers. The event is in its third year and well attended by the local contractors and consultants entering teams. Organised by OSG Architecture Ltd on behalf of Canterbury Rugby Club and supported by Shepherd Neame. This annual event is held to raise funds for Clark Jet Rugby Sport. This charity provides rugby training to homeless and orphaned children in the Philippine’s. 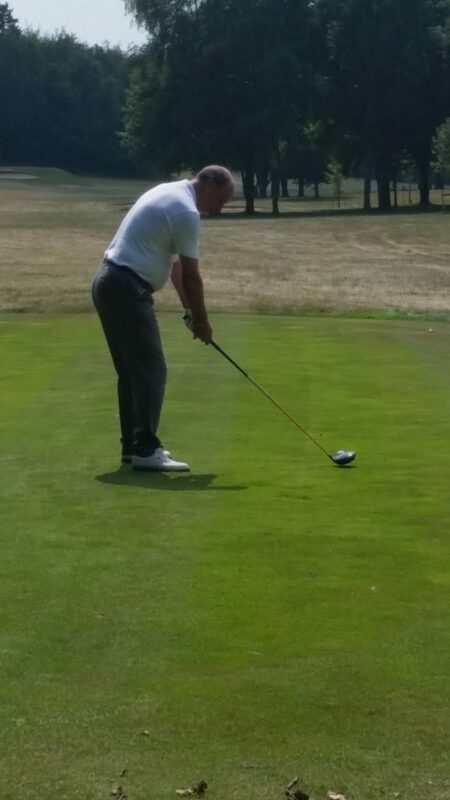 With exceptionally high temperatures admits the UK’s heat wave, the teams braved the heat to play the 18 hole course. Followed by raffle prizes kindly donated by Matt from Etihad Airways. Supported by Canterbury Rugby Club the event raised a total of £7,000 which is enough money to support the team and employ a coach for a year. Thank you to everyone who joined this event.